What version of Lighttpd do you have? I had the same problem as Andi, his code worked for me - thanks both of you. 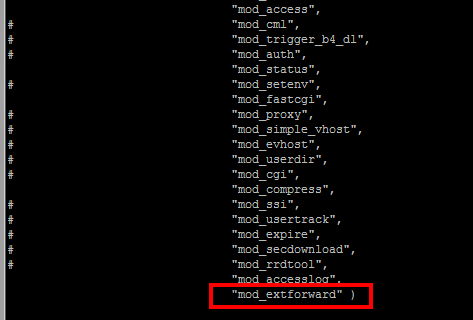 Put the mod_extforward line before mod_accesslog if you want to your access logs to show the real IP address (i.e. not CloudFlare's IP).